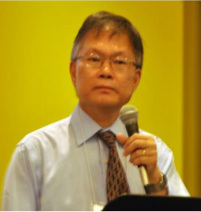 Pastor Hau graduated from Trinity Evangelical Divinity School and has served the Lord for many years in Europe, the United States and Canada. He has been very active in short-term mission and with multicultural ministries. He joined the pastoral team of Long Island Abundant Life Church as senior pastor in mid-September 2012. Before being a Pastor, I-Hsiu (or Ihsiu, /issue/) has been a long time member in our church serving in different capacities. 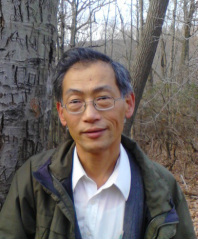 Both he and his wife Frances were born and grew up in Taiwan and came to the States in 1981. After he graduated with a M.S. in computer science, Ihsiu worked as a software engineer for more than 20 years. Then he resigned to study full time at Westminster Theological Seminary (WTS) where he graduated with a M.Div. degree with counseling emphasis in May, 2012. The training at WTS reinforces and convicts Ihsiu even more about 1) the importance and urgency of upholding the purity and authority of God's Word and the faithful ministry of it; and 2) the importance of one-anothering ministry, with personalized God's Word, in deeper, heart-to-heart relationships, especially through the process of disciple making. He is dreaming to see these being materialized step by step in our church. Ihsiu and Frances both love (playing) music, walking, climbing and reading. They are blessed with 3 sons.